All the Gain Without the Pain! Corry Micronics Low Noise Amplifier is a broadband amplifier, boosting your signal without adding noise – meaning all gain, no pain! 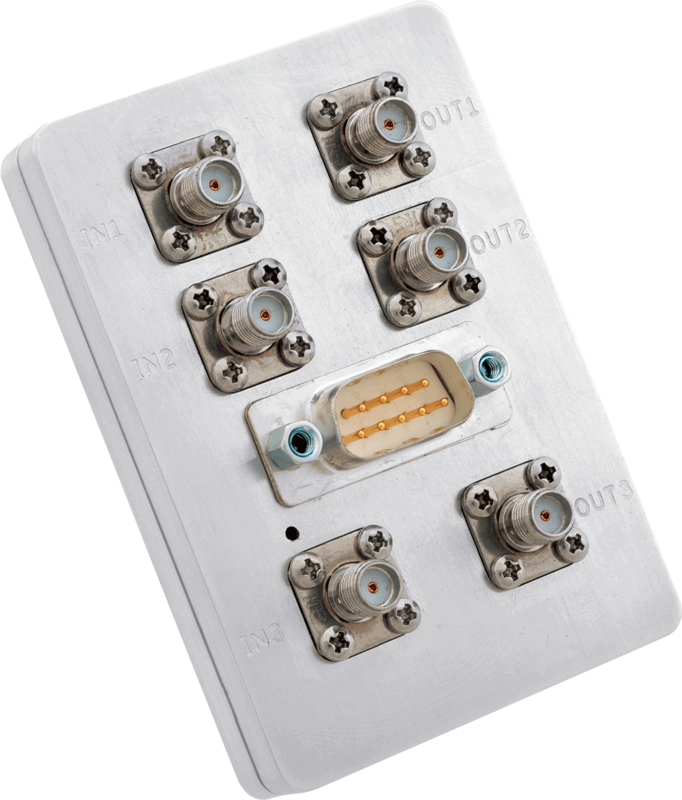 Incorporating three independently amplified channels in a common housing, the unit has a wide operating voltage range and each channel can be independently bypassed with control signals on the Interface port. Corry Micronics sets the bar high for the entire industry with rugged reliability and exceptional performance. Need it yesterday? Call us today! Your LNA will go through rigorous testing to make sure it exceeds your expectations – providing you the quality assurance you’re looking for. Our modern facility and production capabilities continually ensures that a fast turn-around is our specialty – saving you time and costly delays. Our pricing knocks the watt right out of our competition! Our motto: Just because it’s custom doesn’t mean it must be expensive. Your search for the best starts and ends here. You can’t do better than Corry Micronics, where for over 40 years our customers in aerospace, medical, industrial, defense and communications industries have experienced the difference we provide with every order; in every single electronic subsystem. Give us a try. Fill out the form above to get things rolling, or call us directly at (724) 940-7556, Ext. 138. Tell us your specific requirements. Let us prove it’s “all gain – no pain” when you use either our in-stock or custom Low Noise Amplifiers from Corry Micronics! Want Custom Parameters for Your Low Noise Amplifier?